To continue with my unfulfilled winter fantasies, I add to the list huddling in outdoor huts, bundled up in thick wooly blankets and drinking mugs of mulled wine. I seem to be rewinding time and getting a little bit festive, aren't I? 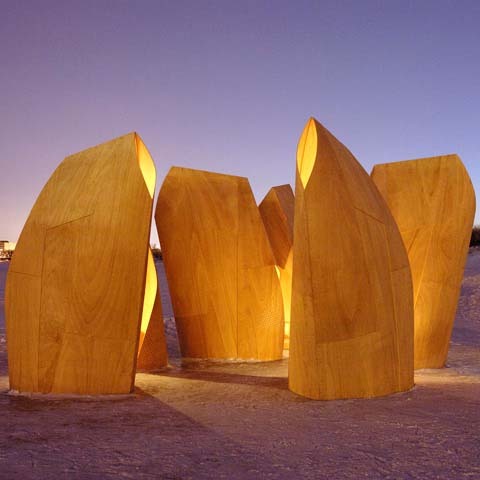 I came across these beautiful designed and constructed wooden outdoor shelters on stylepark.com. 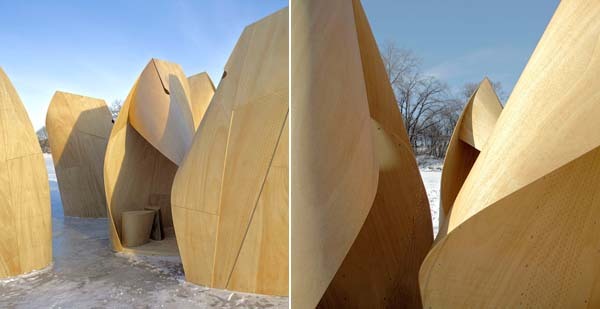 The first photos are that of the Skating Shelters found in Winnipeg, cleverly designed to block out the bitter cold wind. 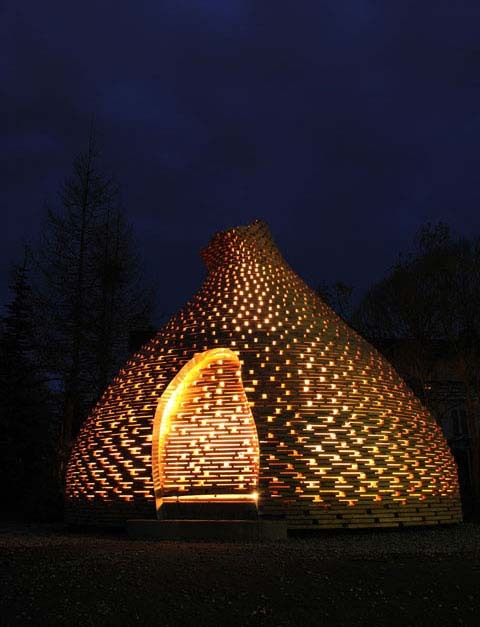 The second is from Trondheim, Norway and found inside is a big, warm fire pit to sit around and get cozy. 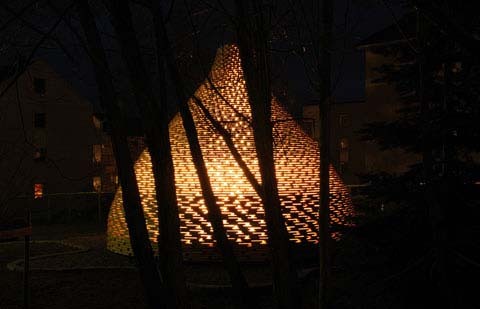 I think both are absolutely gorgeous and I love how they glow in the night. There's something so magical about them. 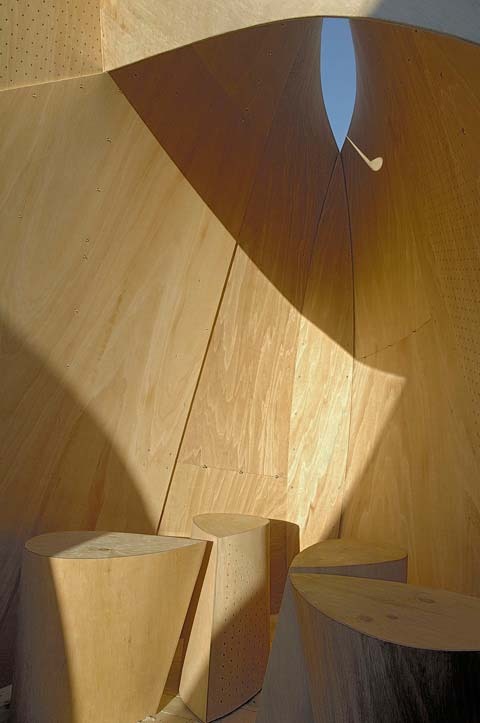 To read more about these projects, visit here and here.